Eager players of Call of Duty: WWII dropped into the game’s Headquarters social hub only to find it mostly empty, resembling a special kind of purgatory that resembles the beaches of Normandy. 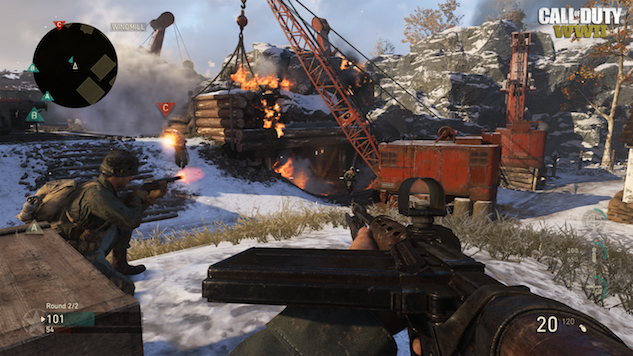 The lack of players in what was meant to be a thriving online community is one of several issues with the game’s multiplayer so far, including server problems and connectivity issues. Developer Sledgehammer Games addressed these issues in a recent blog post. “Our highest priority is to deliver the best online experience possible. We’re not there yet, and we won’t rest until we are,” the post reads. A recent update to the game last Friday had the unfortunate side effect of impacting server performance; as such, Sledgehammer moved to utilizing P2P (listen) servers for the time being in order to add stability. The developer hopes to move back to dedicated servers sometime soon. Sledgehammer also announced a patch to fix the issue of disconnections from servers, which can result in lost stats and game freezes. Finally, as Sledgehammer works to populate Headquarters, the developer encourages players to invite friends during their sessions. Despite these major problems, Activision can claim bragging rights on sales, with WWII making over $500 million and selling twice as much as previous entry Infinity Warfare, per Fortune. Check out our thoughts on the game’s campaign’s depiction of D-Day right here.